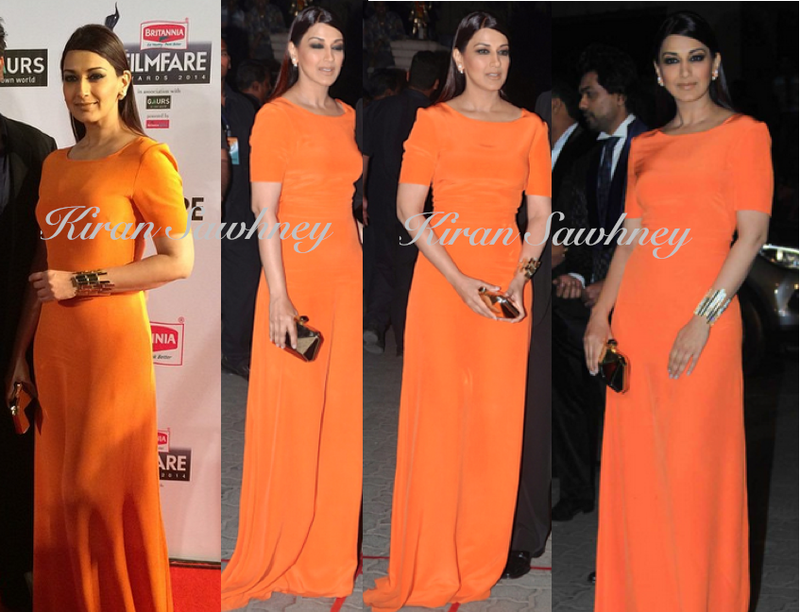 Sonali wore a sleek orange Saloni maxi for the awards night. She teamed it with Isharya cuff, Dior earrings and Kotur clutch. She finished the look with sleek, straight hair and smokey eyes. We like the nice and bright color but we are feeling the whole look too plain. She could have added a necklace or a belt instead of a cuff.